In his book The Eclipse of Biblical Narrative: A Study in Eighteenth and Nineteenth Century Hermeneutics Christian theologian and scholar Hans Frei argues that questioning the historicity of the biblical documents in the modern era has led to the loss of the integrity of the narrative structure. Basically, in searching for the historical Jesus historians have moved away from the powerful message of the Gospel narrative and have supplanted it with a framework for a historical narrative. Consequently this has shifted meaning from the patterns and structure of the narrative itself to external references. Frei argues that this takes two forms. Those who argued for the historicity of the documents found meaning in the historical events themselves, while those who denied the historicity found meaning in the symbolic ideas or concepts that supposedly lie behind the myths. Both may contain hidden meanings or insights, both may provide answers for those seeking them, but what Frei brings to our attention is that the historical view looks for meaning in the past record of real events meanwhile the devotional view looks for meanings within the subjective interpretation of the text. Frei contends that Scripture is a realistic narrative (i.e., history-like). A realistic narrative firmly sets its characters and actions within the context of their historical and social context. Even the miraculous episodes are seen as realistic if they help render a particular character or story. The history-like realism draws us into the story with the result that the story shapes our lives. Similarly, I think Joseph Campbell, author of Hero With a Thousand Faces, would have agreed. We are, in living our lives, reenacting certain story archetypes. However, the power of narrative is lost when meaning is located outside the narrative: in ideals, doctrines, or historical facts. And this is one reason so many Christians, in my opinion, dismiss the Legendary Hypothesis as a valid explanation for the existence of Jesus. By dismantling the myth, and delegating it to an analytical inquiry, Christianity is disarmed. The potency of the myths have less meaning because the search for the historical Jesus rests outside of the Gospel narrative and outside of scripture. Therefore believers will resist such a theory because it puts the whole Christian narrative into jeopardy of becoming obsolete. With its narrative stripped, the symbolism and meaning delegated to unimportant trivia, the only truth we would have of Christianity would come from real world facts and histories. Christians are uncomfortable with this for obvious reasons: the real world doesn’t predict miracles, because there’s never been any evidence for them, even as many have claimed to have seen as much. Even though there have been many accounts of supernatural phenomenon throughout history, not a single one has ever been properly tested and verified. History shows that although supernatural occurrences are commonly thought to occur, in reality, not a single one has ever been proved to have occurred. Thus the historical view starts to dismantle the Christian narrative, first by showing what is historically plausible and that which isn’t, and by the time we have tried to fit the Gospel narrative into a proper historical framework nothing has survived which would compel us to believe in the truth claims of Christianity. Next, the vital narrative of Christianity has been made impotent, only after the fact do Christian apologists try to harmonize the Christian narrative with reality, hoping to revitalize their faith, as if they were taking life saving paddles to their beliefs and yelling “Clear!” But there is no pulse, because the Christian narrative no longer has the power to supply the same meaning it once did. I suggest reading Hans Frei’s book as it is a valuable read for anyone concerned with the implications of narrative in our lives. But the problem, as I see it, is not what we find truth in, because this is a matter of informing our beliefs by writing our own narrative. But I think Frei has pinpointed, perhaps unintentionally, the reason why Christians dislike the Legendary Hypothesis so much, because while it explains a plausible historical model for Christianity it destroys any chance of the Christian narrative actually being true. Modern biblical scholarship has revealed many insights into early Christianity, and when we look into the details surrounding the historical Jesus’ life we are at a lost to formulate any chronology which would be considered a viable model of historic events. Failing to meet the basic prerequisite of supplying the necessary information to be deemed a real historical person is probably the strongest evidence for the Legendary Hypothesis, and which is why I think it is a valid inference. This doesn’t mean I deny Jesus existed or that he was merely a myth. There is enough textual massaging of the Gospel narrative to suggest that there was a genuine Jewish person who fit the description of Jesus lingering somewhere behind the shroud of myth, so I can’t simply dismiss Jesus of Nazareth altogether, but one needn’t dismiss this in order to accept the fact that most of the information we have is either mythical (i.e. improbable) or historically inaccurate. Ultimately my concern is that of the historian’s. Either the Gospel accounts are true or else they’re not. Therefore we look toward the evidence which may shed light on the matter, and if the evidence amounts to something then it may be testable and allow us to confirm the narrative as something other than a fictional story. However, when I investigated my past Christian faith, I found the evidence is all but lacking and the rest seems to be a fictionalization which is reality based, sort of like the historical fictions we love to read or watch on the silver screen. Mel Gibson’s “Brave Heart” was much more engaging and emotionally satisfying than the real history of William Wallace. Yet we know that the story of “Brave Heart” is an inspired story roughly based off a well known figure who, as we well know, was already heavily mythologized. Likewise, we all love reading of the adventures of King Arthur and the escapades of Robin Longstride (a.k.a Robin Hood) because their narratives have a history-like realism. But just because these stories involve historical figures like King Richard I, or have real historical artifacts such as the tomb at Glastonbury with an inscription that read “Here lies Arthur, king that was, king that shall be,” or take place in historical locations such as Nottinghamshire, Wales, Cornwall, and Brittany doesn’t mean they were anything more than embellished legend. Right from the start the Jesus narrative found in the Gospels is complicated by the observation that they appear to be historically real narratives which contain more legend than actual historical facts, in effect, rendering them unbelievable. When trying to discern what is historical and what is just myth or legend we must ask the pressing question: what is historically viable? The answer is simple: that which contains historical support, can be corroborated by third parties, and fits within a working model of the accepted historical time frame, and if we’re lucky, has a plethora of surviving evidence we can consult and glean new insights from. However, when we try to apply the historical method to the Gospel narrative, indeed the whole of Christianity, we come to a dead end. Needless to say the search for the historical Jesus has frustrated a many historian, but what cannot go overlooked is that when we try to hold the Gospel narrative up to the same scrutiny we would with any other historical event or figure, it fails miserably to establish itself as historically reliable. Contrary to the opinion of the believer, the Jesus narrative as contained in the Gospels crumbles to nothing when put under exacting scrutiny. Consider these various complications below. 1) The only records of Jesus’ existence are contained in the Gospel narrative of the Christian Bible. No other records of his life or deeds exist. Even as many Christians state the Gospels are ‘eye-witness’ testimonies, there are several problems with this line of reasoning worth mentioning. a) First, even allowing the most liberal estimates, the gospels were all written decades after Jesus purportedly lived (the book of Mark being the earliest written c.60 C.E. By contrast the fourth Gospel, John’s Gospel, may have been written as late as 170 C.E.) therefore could not possibly have been eye-witness testimony. b) Likewise the mention of the 500 eye-witnesses who observed the resurrection seems to be a late piece of apocrypha. Historians such as Bultmann, E.L. Allen, and C.D. Dodd among many others, agree (for various textual reasons) that the mention of the 500 is, at best, pure speculation and is historically unsound. In the book The Empty Tomb: Jesus Beyond the Grave, biblical scholar Robert M. Price does a superb job of critically examining just this issue in chapter four, titled, “Apocryphal Apparitions: 1 Corinithians 15:3-11 As a Post-Pauline Interpolation.” It’s well worth checking out if you want to know both sides of the controversy regarding the dubious mention of the 500.
c) Conspicuously, the Gospel commentaries are simply not written like eyewitness accounts. There are countless times when Jesus wanders off alone, such as in the Garden of Gethsemane to pray, or to go fast on a hillside, and then we're told exactly what he and God (or Satan) said to each other. Such blatant fabrication could only be considered literary embellishment but not historical (let alone reliable) eye-witness testimony. It’s unusual that historical report would occur when there was no one there to have been witness to report it in the first place. d) Furthermore, the Gospels (and the whole of the NT books) were written in Greek, and not Aramaic. Why is it a substantial problem for Christians? Because the spoken and written language of Jesus and his people was Aramaic and Hebrew. But there is distinctly no Aramaic or Hebrew New Testament which has survived antiquity. The complete absence of even just one fragment of this book is evidence which suggests there is no such book, and ultimately destroys the ‘eye-witness’ testimony hypothesis once and for all. Furthermore, it casts doubt on the authorship of the Gospels themselves making it even more difficult to tie them into the fabric of history. e) Not to forget, we don’t know who the actual authors of the Gospels were. The names Matthew, Mark, Luke, and John were taken from the narratives and assigned as the pseudonymous labels for authorship, yet the fact remains the Gospel authors who wrote in fluent Greek (not typically plausible for the type who affiliated with Jesus, most of whom were illiterate fishermen or barely literate Jewish tax collectors) are completely anonymous. f) Even if we were to give Christian apologists the benefit of the doubt, and allow them to posit the hypothesis that at least one of the Disciples may have been fluent in Greek with the capacity to write, other historical problems arise. Paper cost, let alone the cost of writing one book, in the first century would be the equivalent of buying a new car, such as an Audi or BMW, today. If a poor group of Apostles, who abide by the teachings of a man to give up all material wealth and follow him, could afford such—then where is the money coming from? Also, when did they find time to write? Also, why did they choose to write it in narrative form resembling fiction instead of as a personal journal or travel log which represents history? Also why wait thirty to forty years after the death of Jesus to write the first book? Logically speaking if an ‘eye-witness’ did write the first of the Gospels then they would be well into their 60’s—and life expectancy in the first century was far less than that. Were they perhaps studying Greek all these long years so they could compose the Gospels in Greek? This supposes the author was of moderate age at the time of the resurrection, but then they would have been a child then, and so their testimony could not be considered reliable for the same reason children are not dependable expert witnesses in modern court hearings—their minds are too prone to influence of suggestion. Moreover, how did they afford the language lessons, being Christian and all? Remember, they had no money! Simply put, too many discrepancies arise which seeks to disconfirm the hypothesis, making it abundantly clear that the Gospels are not eye-witness testimonies. 2) There's a stunning lack of contemporaneous evidence that Jesus ever existed—in fact there is exactly zilch, zero, nada. There are no collaborating documents of Jesus' life anywhere. Note: citing Josephus does not count, since modern scholarship has proved beyond a reason of a doubt that the phrases within Josephus’ Antiquities is actually an anachronistic interpolation by later evangelical authors. As we might expect from an apologetical agenda, the tactic of harmonization of “apparent contradictions” is crucial to their enterprise. Consensus scholarship is no less enamored of the tool than the fundamentalist harmonists of whom their “maximal conservatism” is so reminiscent. Flavius Josephus was a well known first century Jewish historian working under commission of Rome. Coincidentally, Christians love to quote this Jew because in a piece of his writing he (supposedly) refers to Jesus as the Christ. You can understand why Christians are so desperate to latch onto this bit of evidence and pass it off as the historical truth. But they are grievously mistaken. It is true that there is one line in Josephus’ Antiquities which mentions Jesus as the Christ, but this is part of the problem, as we’ll soon see. Now there was about this time Jesus, a wise man, if it be lawful to call him a man; for he was a doer of wonderful works, a teacher of such men as receive the truth with pleasure. He drew over to him both many of the Jews and many of the Gentiles. He was [the] Christ. And Pilate, at the suggestion of the principal men amongst us, had condemned him to the cross, those that loved him at the first did not forsake him; for he appeared to them alive again the third day; as the divine prophets had foretold these and ten thousand other wonderful things concerning him. And the tribe of Christians, so named from him, are not extinct at this day. 1) Josephus was a Jewish historian writing in the first century (circa 37-70 C.E. ), and so he would have never referred to an Ascetic Jewish Prophet who had died leaving prophecy unfulfilled as the Messiah, let alone a *divine prophet, and so he could not have referred to Jesus as the Christ. No orthodox Jew of antiquity believed Jesus was the chosen messiah, nor would any Jew have considered Christ to be divine—in any sense of the word—since the Jews continued to hold the covenant with Yahweh believing him to be the one true God. Any other divinity would have been seen as blasphemous to the first century Jew—but not to later Christians. It’s clearly a later Christian theological consideration, utilizing Christian vocabulary “Christos” (again Greek and not Hebrew) from a much later date, and so marks it as a later addition. 2) The earliest Christian writers, such as Origen and Justin the Martyr, frequently quote Josephus but often quote from that very section without the additional verses about Jesus being the Christ. And since their account of Josephus is from an earlier source than the one modern Christian apologists love to quote mine from, we can reasonably be sure that the later addition of Jesus being referred to as the Christ is a Christian forgery from no earlier than the third century. Besides all this, at the time of Josephus’ writing of Antiquities the Synoptic tradition of Mark, Mathew, and Luke were not yet established, and even if Mark was completed by this time it would be the only extant “evangelical” text and we cannot assume it would have been familiar to Josephus, so those stories would not have been part of the written culture. Jesus had not yet been defined as the heroic Messiah, as his legend would not have had time to spread to Rome to be written let alone permeate the thoughts of all of Greece, as there was just not enough time as of Josephus’ writing. Some Christians like to posit it was oral tradition being preserved, but the Gospels using Greek instead of the oral language of Aramaic or Hebrew disconfirms such a hypothesis. So the time frame is incompatible with the terminology, also the terminology is incompatible with the language and culture of Jesus, thus paying close attention to context the situation seems unashamedly fabricated in order to align with later Christian assertions. The most obvious problem with confirming the Gospel version of Jesus as a historical person is the fact that virtually his entire life is absent from any kind of recorded history at all. In lieu of this fact, Christians might be bothered by the “historical” evidence they assume supports the Gospel claim of Jesus’ plain old existence. Why should they be bothered? Because the support contained within the Gospels is terribly suspicious at best. In reality, from what I can discern, the Jesus Christ of the New Testament mainly appears to be an amalgamation of mythic deities and heroic figures such as Oedipus, Apollonius of Tayana, Hercules, Romulus, Empedocles, Adonis, Tammuz, Osiris, Attis, Mithra, Dionysus, and Odysseus. Does it not ever bother Christians that Jesus’ was a virgin birth that suspiciously resembles the popular deities of the Egyptian god Horus and the Persian sun god Mithra (take your pick) all coated with a thin veneer of Zoroastrianism (e.g. three Zoroastrian magi come baring gifts looking for the messiah who Zoroastrian faith predicted would be born at that time)? Another concern is that nobody seems to know what Jesus did for the thirty years after his birth. We know more about Queen Cleopatra’s life, including here well documented suicide, a few years earlier than we do anything of Jesus’ life. Do Christians not recognize that the important themes in the Jesus tradition reflect an almost verbatim retelling of the life of Romulus, the legendary founder of Rome, who dies and later becomes the god Quirinus, just as Christ dies to become the Christian god? Does it not bother Christians the Christ’s resurrection event seem to be a hobbled together story which incorporates Zoroastrian mythemes and uncannily resembles resurrection stories like that of Zalmoxis? Astute readers will find that the New Testament is loaded with historical contradictions. The claims the gospels make, such as King Herod ordering all firstborn killed or that he performed a census, when in fact he didn’t, or the solar eclipse which purportedly occurred at his time of death, but in reality didn’t. Does it deter a Christian’s faith when historians point to the whole King Herod affair being little more than midrash, i.e. a Jewish commentary of Moses’ persecution by the Pharaoh? Moreover, these supposed “historical” accounts can only be found in the Gospels (just four books) but continue to lack any corroborating contemporaneous evidence. Basically what this means is that: the Christian Bible contains incorrect information, thus misinforms Christians as to the actual historical events, skewing their beliefs about history, making it easier to believe in myths which are known fabrications and which contain false information. Consequently, the Bible is simply wrong on nearly everything and therefore cannot be trusted to be accurate. Earnestly, this should bother Christians more than it does. So we can come to a valid conclusion: Jesus may not have ever existed, he may have, but then again he may just be legendary. Thus Christianity is left without any valid support—and the support Christians feel affirms their convictions in the truth of Christianity seems to be laden with myths which predate, or at least coincide with, the formulation of Christianity itself. Hence we have no choice but to be skeptical. Next, apply Occam’s Razor to the Gospels, reject the false information, cut out what is　implausible and replace it for what is actually plausible, leave out the improbable and keep only the probable events, and see what happens. Of course, I can’t prove that Jesus didn’t exist, that’s not my goal, and I think such a statement is a bit brash. Yet the fact remains, it looks like Jesus may have been more myth than man—because it goes without saying—evidence counts for something. Christians seem to think the historicity of Jesus Christ is a non-issue, that there just isn’t an argument here, that it’s a foregone conclusion—he existed—and so whatever the Bible says is the final authority on it. Frequently they’ll temper such a statement by adding that just because there isn’t any extra-Biblical evidence doesn’t mean it isn’t true. Well it’s not necessarily untrue either. For all we know, it may have happened, it may not have happened—we just can’t know either way. Take for instance the following example: we can neither confirm nor disconfirm whether Julius Caesar actually crossed the Rubicon. He might have, but then again, he might not have. Just like the Jesus claim, a lack of evidence simply means that the case for it being true is very, very weak. However, Julias Caesar, unlike Jesus Christ, has contemporaneous evidence that proves his existence. Contemporary sources such as the letters and speeches of his political rival Cicero, the historical writings of Sallust, and the poetry of Catullus exist in abundance. Meanwhile, much of his life is known from his own Commentaries (Commentarii) on his military campaigns. All this places Julias Caesar within a working chronological time frame and supports his basic existence. Many more details of his life are recorded by later historians, such as Appian, Suetonius, Plutarch, Cassius Dio and Strabo as well. And how can it be that, more than a century later, Christians would readily appeal to things Jesus said to prove their point about the nature of the resurrection, but Paul, only a decade or two away, can’t summon a single word from Jesus in his own defense? Nor, apparently, could his Corinthian opponents. Even more bizarre, how can it be that, more than a century later, Christians would have all kinds of eyewitness testimony to cite proof of their position, and had no problem citing both Old Testament and New Testament resurrections as examples, yet Paul, only a decade or two away, fails to summon a single example? This absence of evidence, where evidence should exist, casts doubt Jesus as to whether or not Jesus may have actually existed at all. This especially becomes clear when we stop to consider that Paul could have ended the debate by writing just one measly sentence quoting something Jesus said or about Jesus’ personal life; yet Paul completely fails to do so. 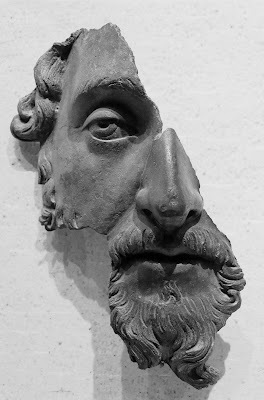 Moreover, when later historians write on Jesus’ life we have every reason to be suspicious of their information knowing very well that we lack the requisite experience necessary for establishing general hypotheses that would link the information we have about Jesus with a working chronology of basic historical events. Biblical scholar and historian James D. Tabor has recently put forth, “The history of ideas always remains a tenuous enterprise with no definable terminia post/ad quem,” that is to say, no precise knowledge can ever be gained as to what really occurred absolutely. I tend to agree. Definitive historical conclusions are always the hardest to establish, we only have our best guess, but at the end of the day our best approximations must be based on solid and sturdy research, and not simple unfounded convictions, and that’s why I find that Jesus Christ’s historical chronology is nowhere near trustworthy. As for his historicity, that too is put into question by the failure to establish a reliable historical chronology of confirmed (basic) events. Don’t Be Bamboozled by the Woo-woo! Christians use a kind of special pleading where they will frequently disregard all the countless other stories of gods and miracles as myth, but embrace Christianity’s as the infallible truth. But consider an objection which Sam Harris has raised, that right now, the mystic Sathya Sai Baba has thousands of followers hanging on his every word. People believe he performs Jesus-caliber miracles, some of which are unimpressively documented on YouTube. People believe that Benny Hinn can channel the power of Jesus to cure the blind and the crippled. People believe that John Edward can talk to their deceased loved ones. People believe that Deepak Chopra’s ‘Law of Attraction’ is actually a viable physical law and that if they’d only think more positively they could will their desires (wishes) into being. And people believe this stuff today, in our scientific and technologically advanced age, where we can prove that these guys, along with their bogus theories, are absolute bunk. And yet Christians want us to believe that a credulous and superstitious lot of people living in the Bronze Age over 2,000 years ago, retelling fantastic events decades after they supposedly happened, are reliably accurate? Come now, let’s try and be a bit more honest than that, shall we? Testing our own intellectual honesty isn’t that difficult. It can be done in the form of a simple question. Which seems like the more reasonable consideration to you? 1) Christianity is real—it happened exactly like the Bible says—Jesus is the savior—there’s no doubt about it; or 2) It may have happened, we don’t really know any real details about Jesus, but there is more than enough reasons to be highly skeptical. I for one think the first answer should be rejected just on the basis of scholarly integrity and intellectual honesty alone. The second one is the more reasonable of the two options, for hopefully apparent reasons. What I don’t get is why Christians will admit the reasonableness of the second yet place all their hopes in the first? And maybe that’s just it—they’re not concerned with being honest with the truth if the truth isn’t that which they desire to be real. They want their own truths. They want their Jesus, they want to enjoy heaven and gain eternal life, they want their fuzzy warm feelings and a happy ever after. Well I hate to disillusion them, but when it comes to deciding what the basic facts of history are, this is a dishonest enterprise, mere wishful thinking—and it is unreasonable to pass it off as genuine history, least of all expect us to buy it. Hence when positing competing models of history the historian does not suggest the one which is problematic and liable to be wrong as the most plausible, because it’s probably not. That’s all us skeptics and nonbelievers are saying, between the options of believing in　Jesus, God, and Christianity and what it all entails, or not believing it, the rationale behind the second option is more reasonable. If the evidence isn’t compelling, and the information we do have available is problematic at best, then any surefire or absolute claim that it is the historical truth is—sorry to say—completely insincere. The exact same could be said about the historicity of Jesus in general, in which case I must agree with Joseph R. Hoffmann’s plea that everything considered, the only position that we can take regarding the existence of the historical Jesus is that of agnosticism. Yet when we look at the Gospel Jesus I firmly believe this character is largely a work of fiction and am in support of the Legendary Hypothesis—an inference I feel best fits the facts and adequately explains the discrepancies we find, but to its discredit is too heretical for most Christians to even begin to consider. As it is now, most believers do not believe because they have followed the evidence to its logical end, but rather, they believe because it’s accepted and even respected to believe first and ask questions later. I feel Dan Dennett got it right when he said that this could ever only be professing belief in belief. It’s not a proof for the validity of the belief itself. Therefore when Christians say they believe Jesus was both a real tangible historical person but also, simultaneously, the Son of God they are simply confirming what we already know—they believe Jesus was all of the above because they profess that belief in believing such is praiseworthy. To not believe, they might stipulate, is the real crime. Nonetheless, this practice of faith in which believers conflate the Christian narrative with genuine history thereby attempting to force it together into a hybrid of fact and fiction wherein fantasy and reality get confused (making it all equally true to them), without a doubt, is the worst method I can think of when it comes to identifying the truth of the matter. This is not how history is done. In history reasonable explanations do count, but authentication counts even more, because it is what separates a historical premise from a historical reality. And it doesn’t matter whether or not you find your faith valuable or worthwhile, I don’t even care if you think it is reasonable to believe, I’m asking you to consider whether or not your beliefs are true—are they founded on a historical premise or a historical fact? That’s a big challenge to anyone, but it’s a challenge which must be overcome if you want others to accept your version of history. The Legendary Hypothesis stems from the NT studies by the German form critics. The term is used with regard to narratives about Jesus which were related in order to provide early Christian communities with information they desired about Jesus and his followers, and although these legends may have had a historical basis, the process of repetition within the Church led to non-historical embroiderings. Therefore the Legendary Hypothesis can account for these embroiderings and embellishments as well as the inclusion of any relevant historical data. This makes me confident that the Legendary Hypothesis is the inference to the best explanation. The orthodox Christian assumption that the Jesus narrative is historically reliable does not stand up against form criticism and so the orthodox defense of faith is often rejected by historians on the basis that it is ahistorical and fails to provide adequate explanation for the undeniable legendary embellishments contained in scripture. See the Oxford Dictionary of World Religion for more on form criticism and the legendary hypothesis. For such an example of Christian apologestics please read: Geisler, Norman and Thomas Howe. When critics ask: A Popular Handbook on Bible Difficulties. Grand Rapids: Baker Books, 1992, or refer to their updated version the Big Book of Bible Difficulties, The: Clear and Concise Answers from Genesis to Revelation. Grand Rapids: Baker Books, 2008. Feeling justified, or feeling you are right, doesn’t necessarily mean you are right. Validation counts, and this is the one thing Christian apologists often try to dodge—validating their theories. The above apologetic books are chalk full of theories, none of them very trustworthy, because none of them have ever been validated or confirmed to be correct. What this means is that while the majority of Christian apologists believe their arguments are air tight, it doesn’t amount to much, because most Christian apologetics still lack actual support and so equate to little more than unfounded conjecture. This is why bookstores must separated religious apologetics from philosophy and history, because it is neither, nor is it a good substitution for either. And the only thing worse than bad apologetics is bad theology. From: Antiquities of the Jews; 18.63-64, emphasis mine. The red sections denote the verses not found in Origen’s copy of Josephus. Therefore, by deleting the lines in red we will be left with a more accurate representation of perhaps the earliest version of the text, and contrary to what Christians might espouse, it actually is evidence against the Gospel Jesus being historically real. The reason I say this is because the Jesus which Josephus is likely recording is not the Christian savior but Jesus Barabbas (as NRSV) which seems the more historically plausible considering early MSS of Matt. 27:16f. state it was Jesus Barnabas which Pilate was condemning. Therefore Josephus isn’t even referring to Jesus “the Christ” in the first place, instead he is most likely referring to Jesus Barabbas. 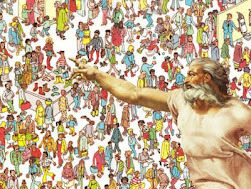 Please read: The Woman’s Encyclopedia of Myths and Secrets by historian Barbara Walker, The Incredible Shrinking Son of Man by Professor Robert M. Price, Does the New Testament Imitate Homer? and The Homeric Epics and the Gospel of Mark by Dennis R. MacDonald, The Jesus Mysteries: Was the “original Jesus” a Pagan God? by Peter Gandy & Timothy Freke, and Who Wrote the New Testament: The Making of Christian Myth by Burton L. Mack. The Bible is quite clear that three magi were present at the birth of Jesus. This is the clear give away that the Nativity story is a borrowing of Zoroastrian myth since the term magi is distinctly not a Jewish label, but specific to the priestly caste of ancient Persia. Thus it is likely that the magi are three Persian wholly men seeking the birth of the Zoroastrian messiah, and the biblical authors kept the original terminology instead of changing it—probably as plagiarism back then was seen as a tribute rather than a theft. Furthermore Zoroastrianism is saturated with dualist concepts of good and evil, with a strong belief in Satan, an evil power, and in angels. It is suggested that the religion influenced Judaism in the last two centuries (B.C.E. ), upon the Jews’ return from exile into Babylonia (550 B.C.E. ), which is reflected in Daniel and certain writings in the Apocrypha and Pseudepigrapha. If this be the case, then it is not a stretch to assume it also has a direct influence on later Christian eschatological theology—including the central figure of Christian eschatology—Jesus Christ himself. It seems highly unlikely that Christianity is an independent religion that would have cropped up on its own yet resemble Zoroastrianism so closely. The odds of Zoroastrianism coming first and then Christianity arising independently—but the two sharing near identical stories, themes, and myths—is too improbable to consider them distinct belief systems. The NT being littered with allusions to Zoroastrian holy men doesn’t help the theory either. Only by allowing a permutation of ideas, following the subsequent succession of religious myths, starting with Persian, then to Babylonian, to Judaism, and on to Christian does one gain the ability to make sense of the Christian narrative and what its sources were. Persisting that the two were distinct and that Christianity has nothing to do with Zoroastrianism, as Christians are want to do, causes unanswerable discrepancies to pop up, and so it is simply a logical deduction that the two belief systems share a mutual relationship and co-evolved over time only for one faith to die off and the other to flourish. Good critical thinkers know that evidence which should exist but does not gives reason to be skeptical. Either the evidence is lost or else nonexistent. By contrast, we happen to have impeccable records of the time periods both prior and hither to the already well documented first century. Subsequently we know, to cite one example, that Cleopatra VII, the last of the Ptolemies, was born in 69 B.C.E, became co-ruler of Egypt in 51, was exiled in 48, restored by Julius Caesar in 47, met Mark Antony at Tarsus in 41 consequently sparking one of the greatest love affairs in antiquity, had children together in around 37, and after all this lost everything to Octavian Augustus in 32 in the Battle of Actium. Finally, we know that her empire divided and her fortunes plundered, a destitute Cleopatra committed suicide in 30 B.C.E. Christians might have to wonder where the corresponding evidence is for Jesus’ life story (his/story)? For more concerning the similarities between Jesus’ resurrection narrative and those of Zalmoxis’ resurrection narrative please read Richard Carrier’s Not the Impossible Faith, p. 86 and pp.100-104 respectively. The term “woo-woo” was coined by Michael Shermer and signifies mystifying metaphysical language or speaking meant to sound important but typically involves vague expressions encapsulated by spiritual or religious modes of thinking, and which often has no relevancy because it doesn’t pertain to anything tangible or real and cannot be scientifically verified. Such woo-woo would include phrases like, “God is watching out for you,” or “I’m praying for you.” The popular selling new-age self help book “The Secret” is an entire exercise in woo-woo. Theologians, such as William Lane Craig, have been known to speak in woo-woo, often times when they defer to the “saving power of grace” or the powers of the “Holy Spirit” and vague metaphysical descriptions of an “intangible and eternal creator being.” All woo-woo. One objection might be that skeptics are taking woo-woo too literally. That it’s not meant to be a materialistic description of the natural world, but rather, woo-woo is meant to express—to the best of our ability—unfathomable things, such as an incorporeal God which exists outside of space and time. Although such an objection is duly noted, I don’t think that is the intent behind Shermer’s labeling of supernatural suppositions and bizarre spiritual (or “spooky”) language with the term woo-woo. I think the intention is to show that woo-woo has no explanatory power, and so is nothing more than whimsical language and nonsense, therefore to invoke woo-woo is to rely on the illusion of explanatory depth—a known fallacy. Be sure to check out Joseph R. Hoffmann’s upcoming anthology Sources of the Jesus Tradition, Prometheus Books 2010. The only things I find less compelling than Christianity are the arguments which Christians like to give for why there are atheists. 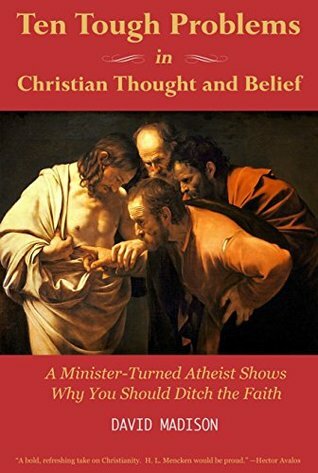 They like to pretend atheists are simply wanting to live out hedonistic lives, or that we atheists are simply rebelling against God (for whatever personal offense we might imagine), but all this is to suggest that atheists exists because they are in disbelief as to the truth of Christianity. Which basically amounts to saying that because Christianity is true, atheists exist. The logic here is flawed. If you reverse it and make the claim because Atheism is true there are Christians, we can see how idiotic a suggestion it is. 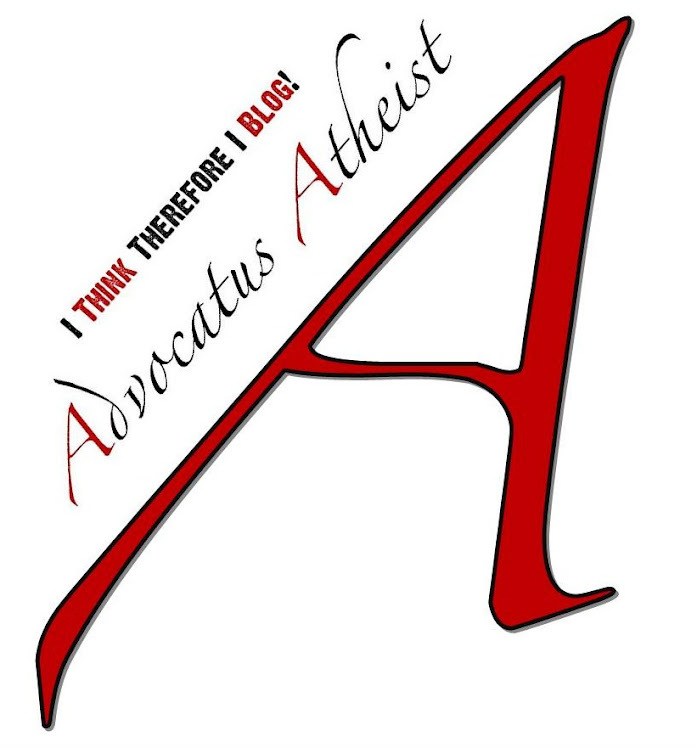 No, atheism is the rational, even reasonable, position for any person who has considered the evidence, because we all know that if God was real and Christianity was justifiable then there would be no atheists to speak of. Therefore to prove Christianity true we would have to say: because Christianity is true there is no such thing as an atheist. Since this is not the case, we can be assured that Christianity is probably false. I am not an atheist because I choose to be, I am an atheist because Christianity fails the test of what it means to be historically feasible and verifiably true. As you might expect, atheism is the natural occurring consequence of Christianity’s failure. Craig might want to occasionally pause and think about what he is saying. As it is, he contradicts himself in the same sentence. First he says a group of deities (with multiple minds) is inconsistent with the Kalam cosmological argument and then reneges the statement immediately afterward to claim a triune deity (with multiple minds) works just fine. What is a trinity if not a group of three? Even if it is one Transcendent personal being, there are at least three distinct personalities/minds. Craig contradicts himself. Three is not one. Craig still needs to provide a method which allows him to differentiate between one and the many, otherwise he's up the creek without a paddle. Maybe because he believes the Trinity to be one whole entity it's not three separate minds so much as a schizophrenic schism of personality types? How does he figure? He doesn't, he just expects you to agree with him--more special pleading. Likewise what is to differentiate between a necessary deity, existing in a changeless state, and two or more causal agents doing the same? Time is only an added dimension, and is relative, so has nothing to do with how many causes (or causal agents) there can ultimately be (in Transcendent form). Also, why can't a pantheon also act as a hive mind? The Borg in Star Trek the Next Generation can do it. I think Craig reveals the limits of his own imagination when he fails to consider such an obvious analogy. Now just make the Borg Transcendent beings, and presto! Craig thinks, for some odd reason, that a pantheon of gods working is concert is harder to grasp than one schizophrenic God. I don't see how a pantheon of, say, three polytheistic gods is harder to grasp than, oh well, a Triune being which is three in one. If you ask me, the concept of three in one is rather convoluted. Craig simply dismisses the objection as if he's never really thought it through, which is why I have a hard time taking him seriously. He wants people to agree with him, but until he explains how Kalam predicts one necessary causal agent, which so happens to be a complex personal creator being with a schizophrenic personality, I think the objection of many causes is more than valid--it's completely devastating to Craig's entire argument. 1. Applying Occam’s razor we find that one god, or a God, is the simplest “explanation” and so has a better chance of being the correct inference. a. Although Occam’s razor is a useful rule of thumb in weeding out unnecessary information, there is nothing the the Kalam cosmological argument which suggests a strict law of parsimony need be observed. Therefore my initial point that multiple gods are just as likely as an inference as one god stand as the primary objection to the validity of the Kalam cosmological argument. Additionally, what’s to suggest a conscious mind of a thinking god is less complex than a quantum event? Indeed, the rule of parsimony cannot be relied upon here. 2. Other cosmological evidence, such as fine-tuning and the argument of something rather than nothing, suggest an intentional set of laws which in turn denote a conscious act behind the intentionality of the predetermined parameters. a. Again, there is nothing which presupposes monotheism, even as fine-tuning remains, in my opinion, the best chance of establishing a practical cosmological argument, it doesn’t go far enough to address the initial problem of many gods vs. one god, and so leaves us right back where we started. 3. 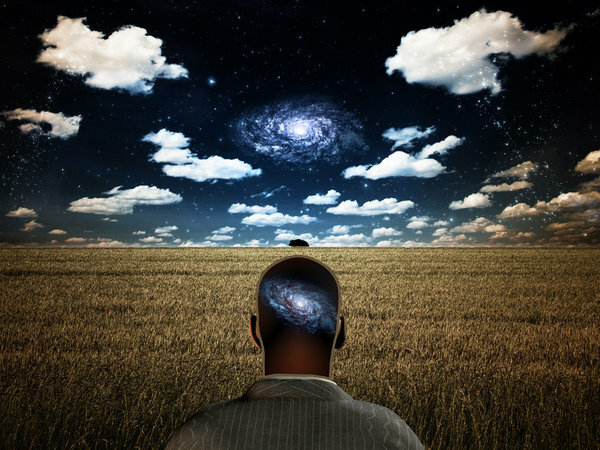 The argument from reason seems to hint at the fact that our own consciousness is a necessary consequence of the detectable intentionality of a greater consciousness. a. Even if we grant this, we cannot forget to overlook the fact that neuroscience offers a good preliminary model for human consciousness. Moreover, if granted, there is still no reason to assume a single consciousness over multiple or plural consciousnesses. What is to suggest that I don’t derive my consciousness from god X while you derive yours from god Y? Still the problem of aggregation remains. I would predict any other objections will meet the same trouble, therefore my initial point that Kalam doesn’t presuppose monotheism remains valid. As such it still follows that there is no direct corollary between the inference of any creating agent(s) and the causality of the universe. Whenever people argue over the deductive powers of the Kalam cosmological argument, or any other cosmological argument for that matter, I get confounded. By my reckoning there is no valid reason to even consider the argument or its deductions to begin with. The Kalam cosmological argument as offered by Craig and every other cosmological argument each fail in the same fashion. Even if we assume the Kalam cosmological argument is true, at best it could only be an inference for a deistic creating agent, but not any specific type of god (personal or otherwise). If the theologian presupposes their version of God then they have simply taken out a qualification they needed to prove their case and are begging the question. Knowing this to be the case, any suggestion that the Kalam cosmological argument is a legitimate inference for God (because the universe exists, therefore must have been caused, thus proves that God is necessary to establish such causality) is simply special pleading. In truth, however, hinging one’s entire proof for God on two faulty premises is by any epistemic standard a failed argument. Yet what theologian would be willing to admit that they are mistaken? Since such an admission would defeat their purpose of proving the existence of God and offering the argument in the first place they adamantly search for novel ways to keep believing in the validity of an illegitimate argument. Theologians like Craig love to flog a dead horse, hoping that your curiosity will be peaked by the bizarre and strange event long enough to compel you to come over to inquire what he’s on about. This gives the theologian the chance they need to urge you into buying their snake’s oil and have you listen to what they have to say and why they feel it is a valid argument—one that you couldn’t possibly refuse. They’ll likely throw in some ‘eternal salvation’ for free if you hurry up and buy now. All considered, we find that the Kalam cosmological argument fails to establish any genuine inference that the universe was caused by a creator being whatsoever, and for that reason it is invalid. Simply put, the Kalam cosmological argument fails before it ever begins, and if you ask me that’s a telltale sign of a non-argument. If theologians were more honest with themselves they would reject the Kalam cosmological argument altogether, and without hesitation, on the basis that it is by all accounts something which simply cannot be true by inference alone. Of course, then they would not be able to say that the existence of the universe points to the existence of a divine ‘creator’ being. Well, too bad. I suggest we deal with it and move on.